Happiness in all you do. Whether you are an NPT subscriber, Super Affiliate Handbook reader or an Affiliate Blogger PRO member; I'd also like to thank you for all of your support. It's your enthusiasm for learning that make these projects fun for me and the reason I do what I do. Keep sending those questions, comments and suggestions in 2012; and together we'll build big, prosperous online businesses. P.S. A BIG thanks also goes to my merchant and payment processing partners whose efforts have given so many of us the opportunity to fire our bosses and work from home. Those Pesky W-9 and W-8BEN Forms! Happy 2012 to everyone I really want to get started becoming a affiliate marketer, etc but I really don’t know where to start, Can you help me? Thank you for all the great posts and information. Thank you for your New Year’s wishes – back at ya! This past year I signed up for many IM newsletters, but yours is the only one I’ve kept with. I look forward to your every post. I wish you and all your readers the best for 2012! Thanks so much for your comment. You’ve made my day! long life and much luck! Thanks Mustapha and likewise to you and yours. It’s nice, in this day and age of internet marketing, when every marketer wants to sound personal and and real, to get an email from a marketer who I believe means each word she sends to her subscriber list. Thanks for always being real and always giving genuine guidance for marketers. Once again, Happy New Year and thanks. P.S. Please feel free to correct any grammar or spelling mistakes. I always appreciate constructive criticism. Thanks so much for your comment and Happy New Year to you and Zeke as well. Happy New Year from the other side of Canada in Ontario. Oh yeah, Kim Roach says a lot of good things about you. Thanks for your good wishes and comment re Kim, Clint. Best wishes to you for a wonderful 2012. Happy New Year to you too. I stayed up till midnight and celebrated the new year. Good for you, Drewry! That’s a fabulous goal… we’ll be cheering you on the whole way. Same to you Roz, keep up the great look. FYI, for those using YouTube and monetizing them – go check your settings (view each box). I went through and verified monetization, rechecked the boxes and saved. Somehow, the settings changed, made a difference – woke up a little change and accurate analytics. All the best to all. Thank you for all of the good stuff you post, and I look forward to more in 2012. Thanks, and wish you too a very happy and prosperous 2012. By the way, any updates on the cards for SAH? Thanks kindly for the good wishes and likewise to you and yours. As for SAH updates… they’re all now included with http://AffiliateBloggerPRO.com. The only thing we’re doing new and different this year is having it translated into German. 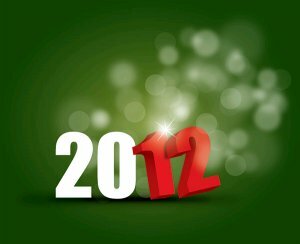 I wish you all the best in 2012 and beyond. businesses based on honesty an integrity. Thanks very kindly for your (head-swelling) comment and good wishes. I hope likewise for you and yours in 2012.